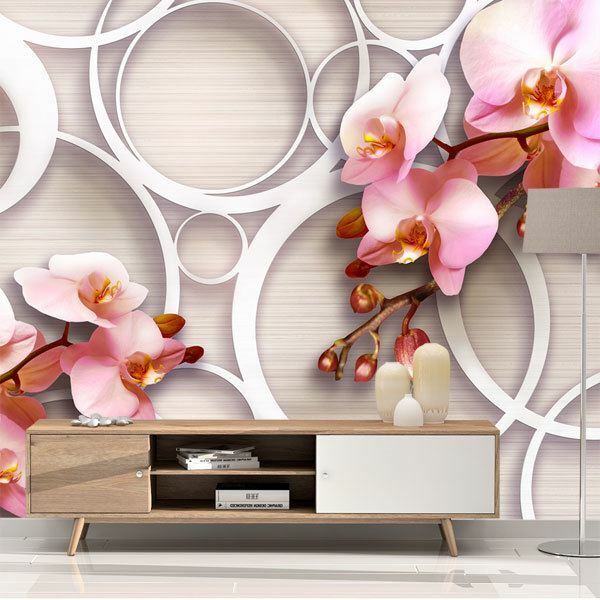 Wall mural Rose Orchids. 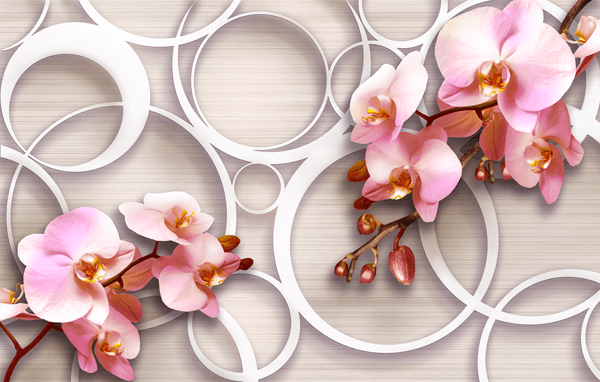 Design of two orchids, one in each corner on a grey background with white circles. 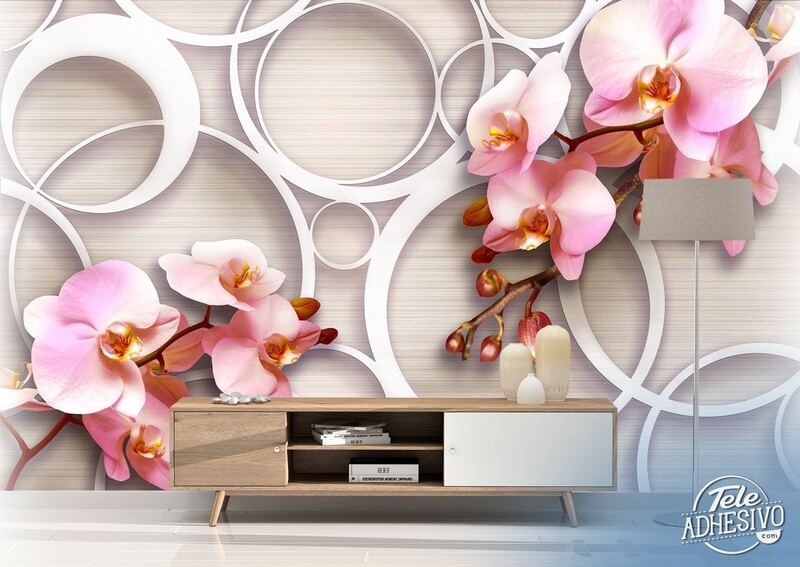 The orchids have three sepals, two petals and a labellum to attract pollinators. Its shape allows bees and other insects to pose comfortably on it.